Great opportunity and flawless capture. Interesting scene, the walking bride is a decisive moment, indeed. 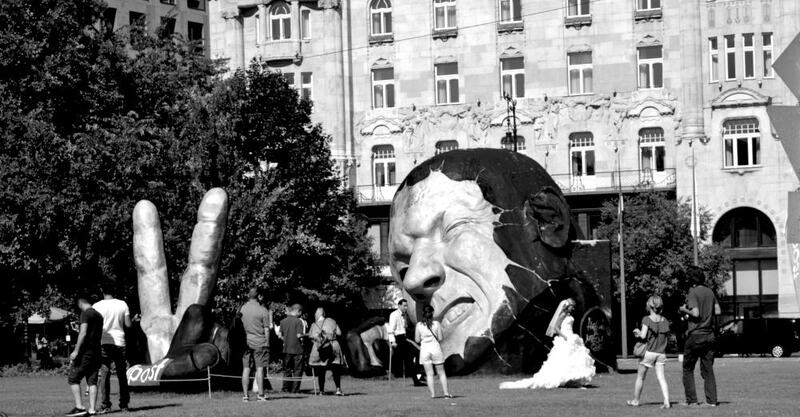 A conventional event facing a piece of art symbolizing rebellion. The b&w is a good choice. Excellent observation well balanced in my opinion. I like the reading of this picture. That's what I like about street photography, the unexpected.